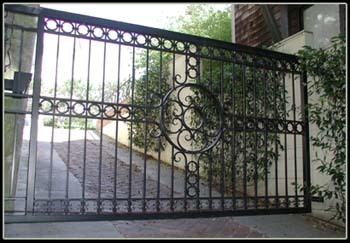 Custom cantilever slide gate. The gate matches the historic private SF residence. Powder coated black. This gate is automated.